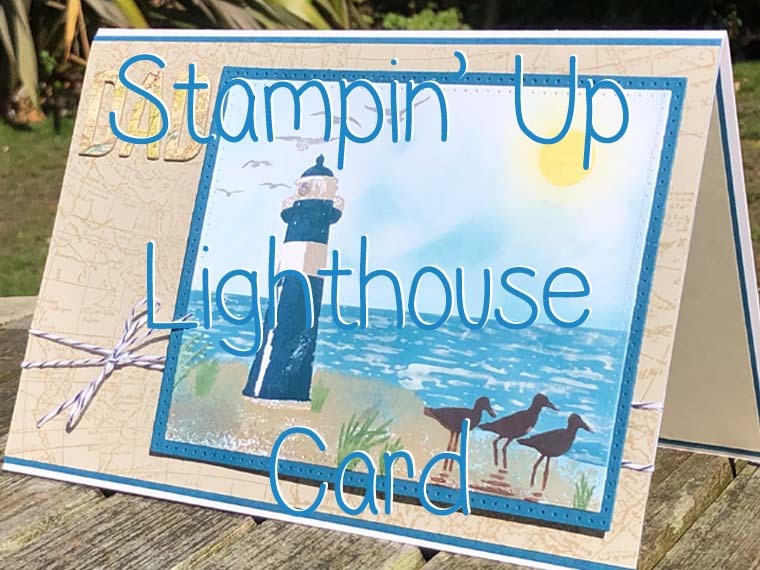 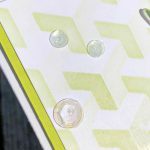 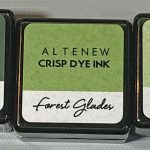 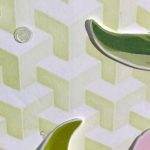 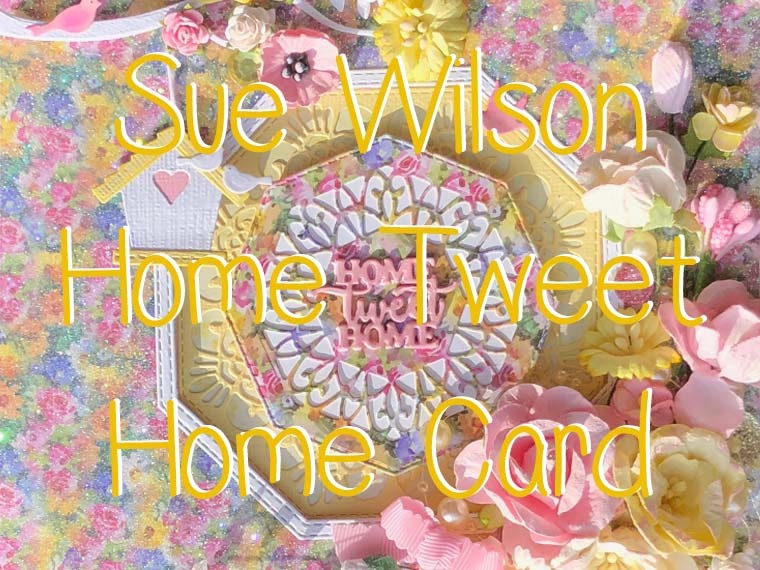 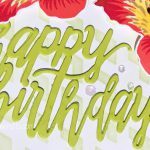 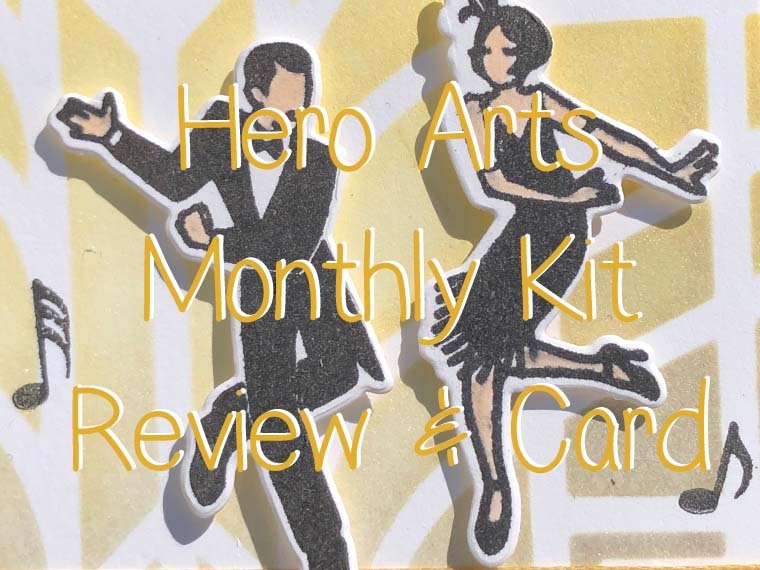 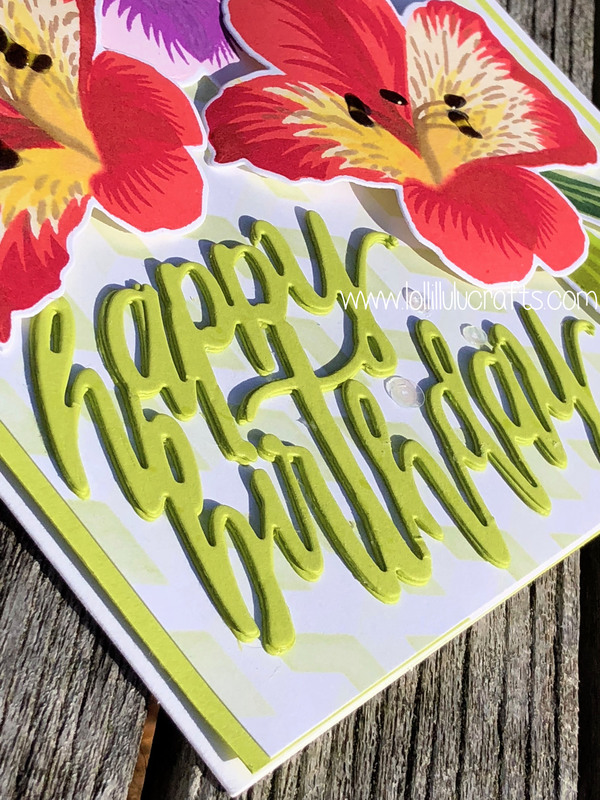 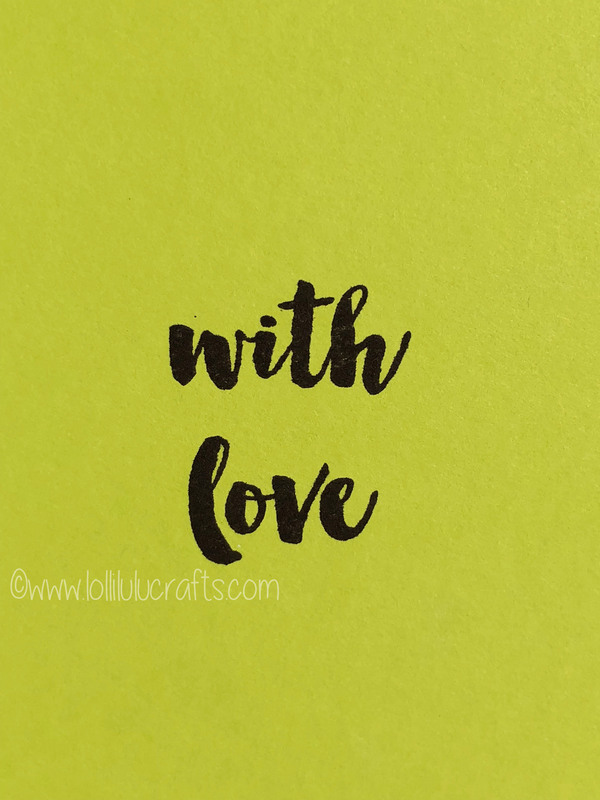 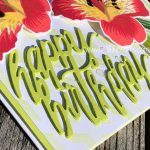 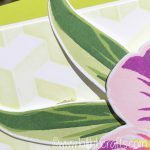 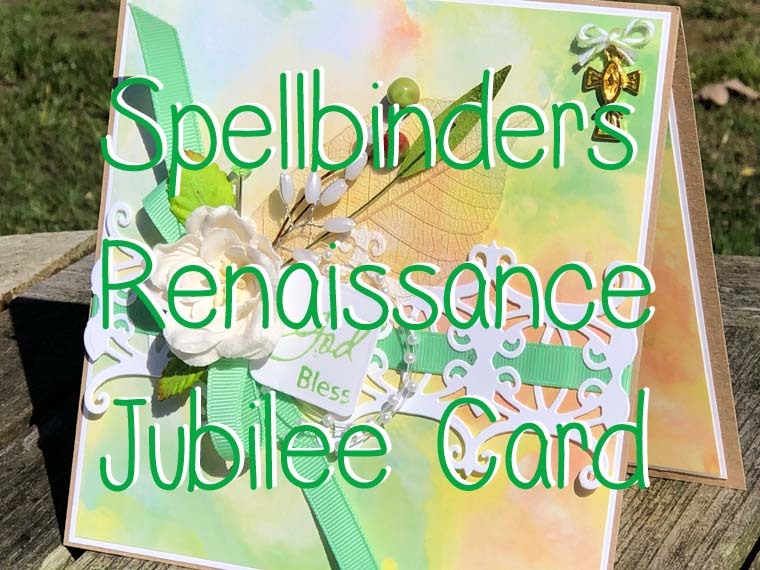 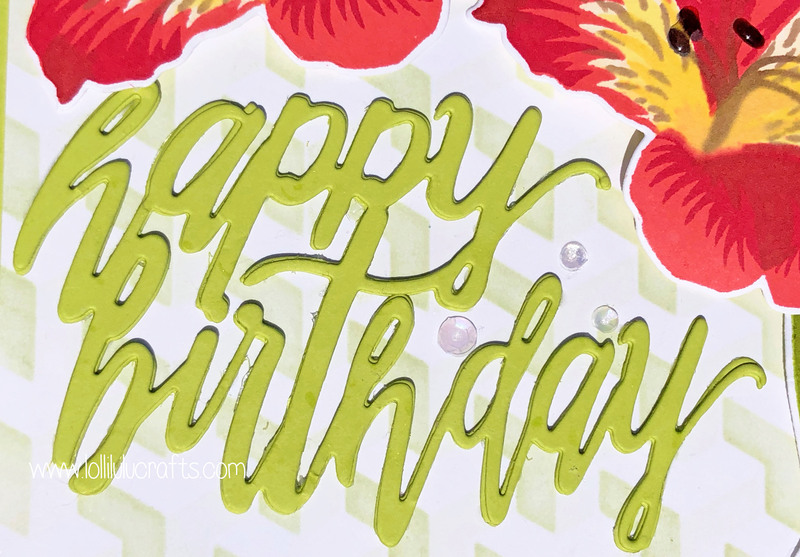 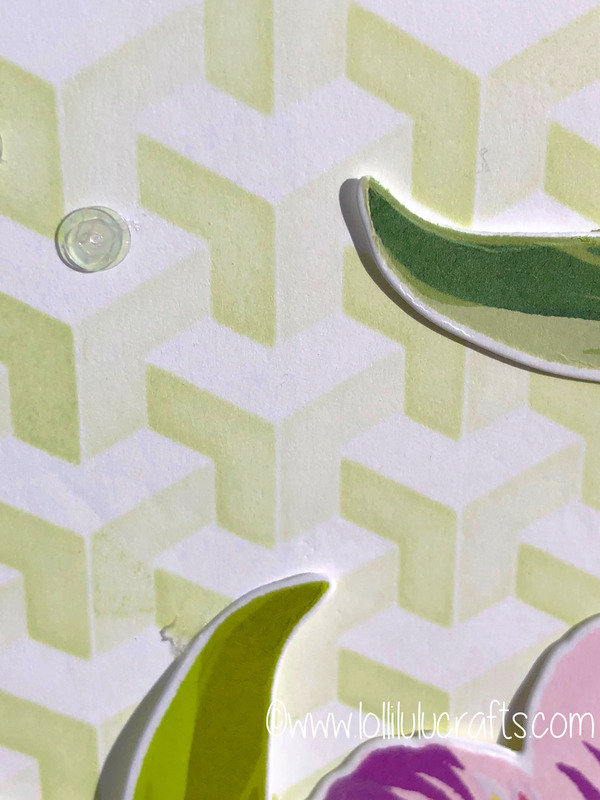 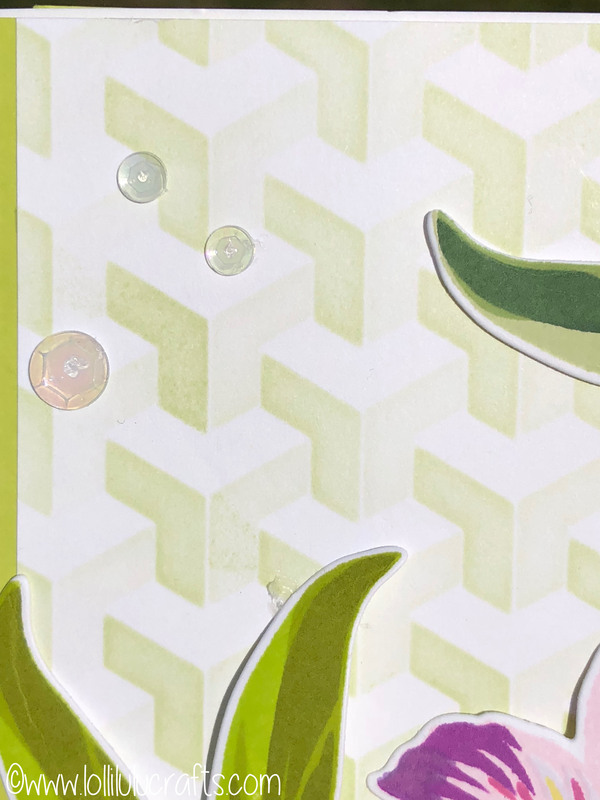 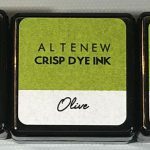 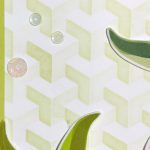 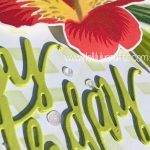 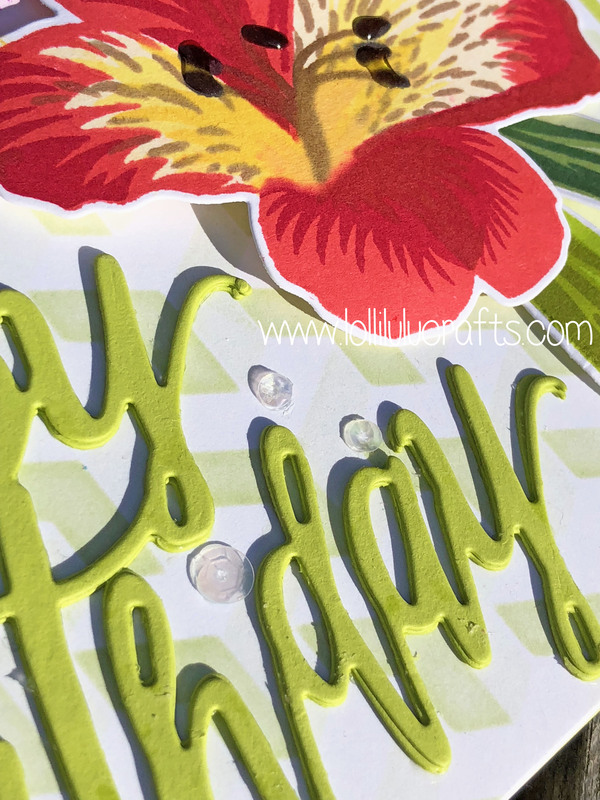 Hiya, today I am super excited to bring to you a fabulous Stamp & Die set to you from Altenew plus their fascinating Builder Stencils. 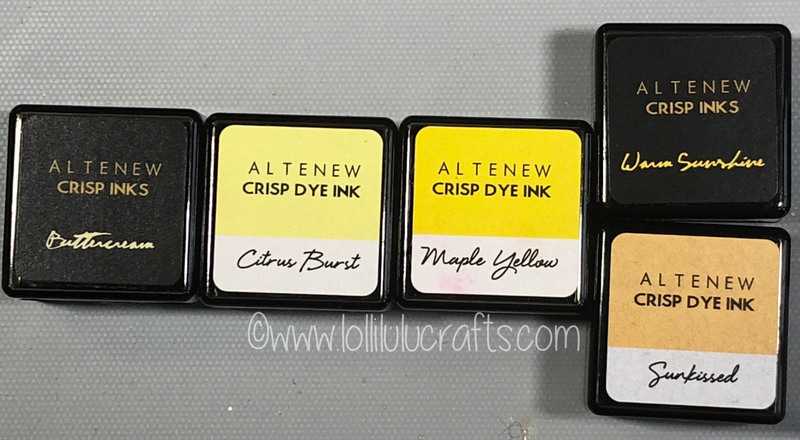 So todays video is sponsored by Altenew as they kindly provided me with the product used. 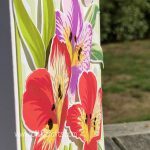 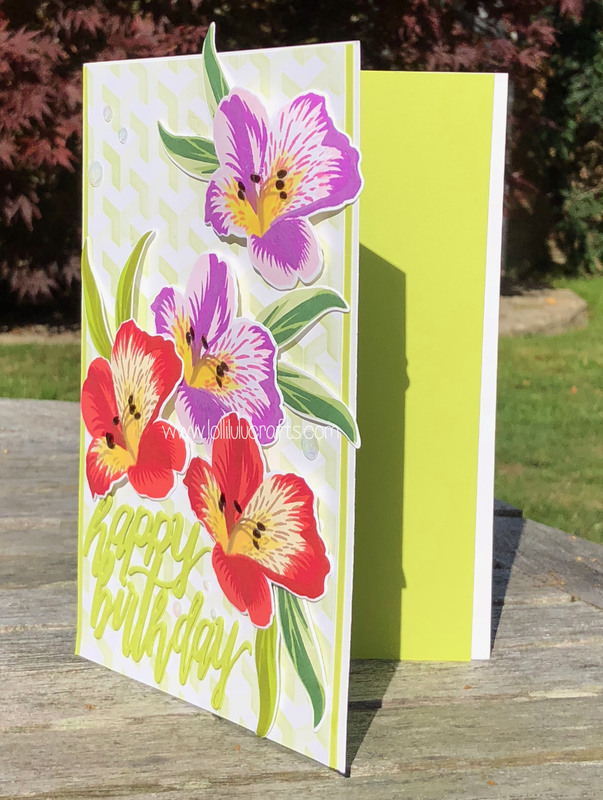 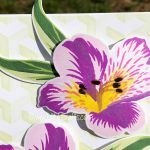 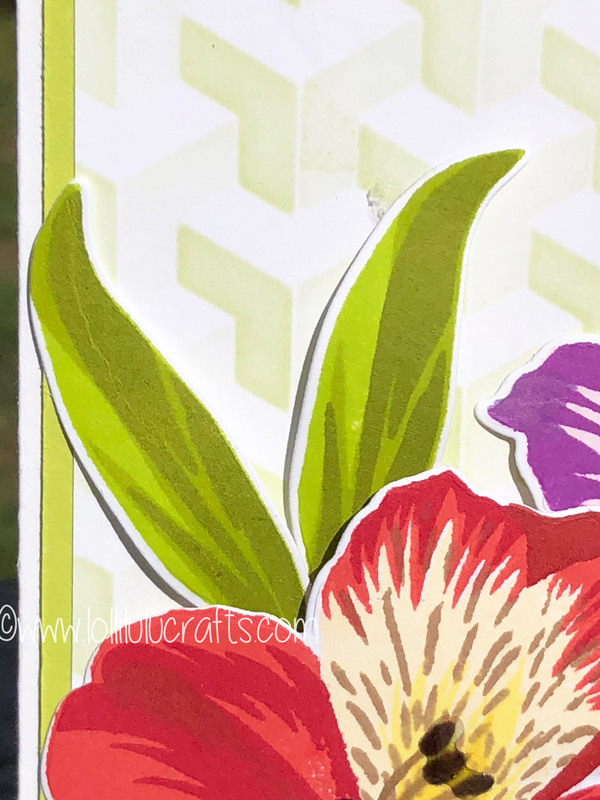 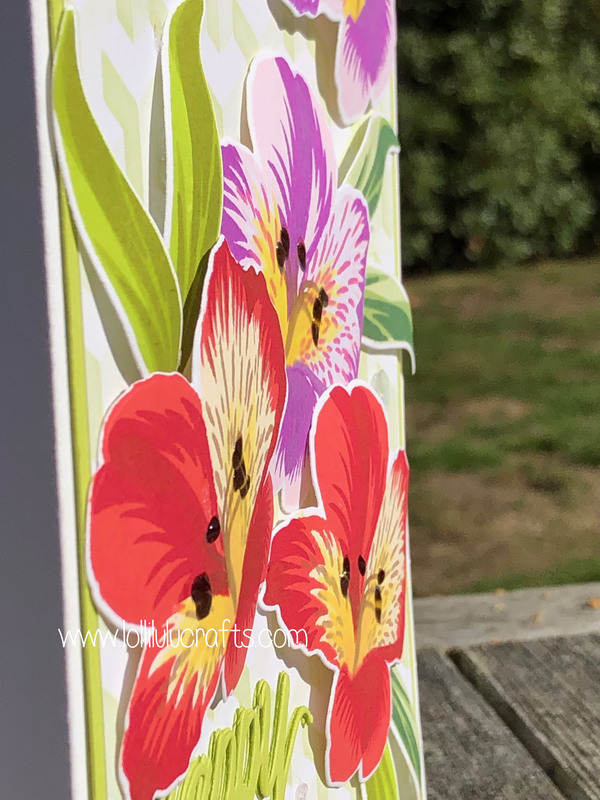 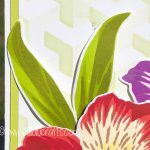 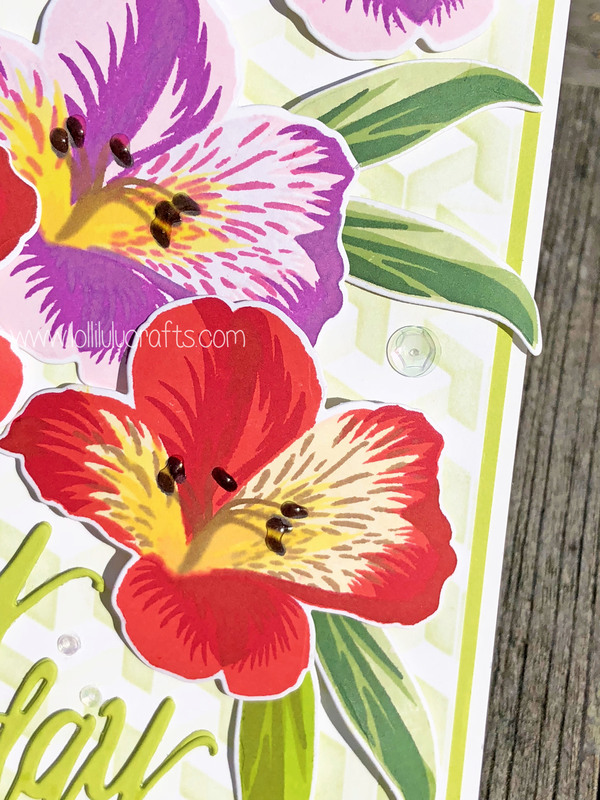 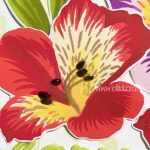 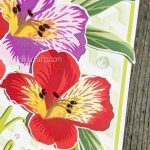 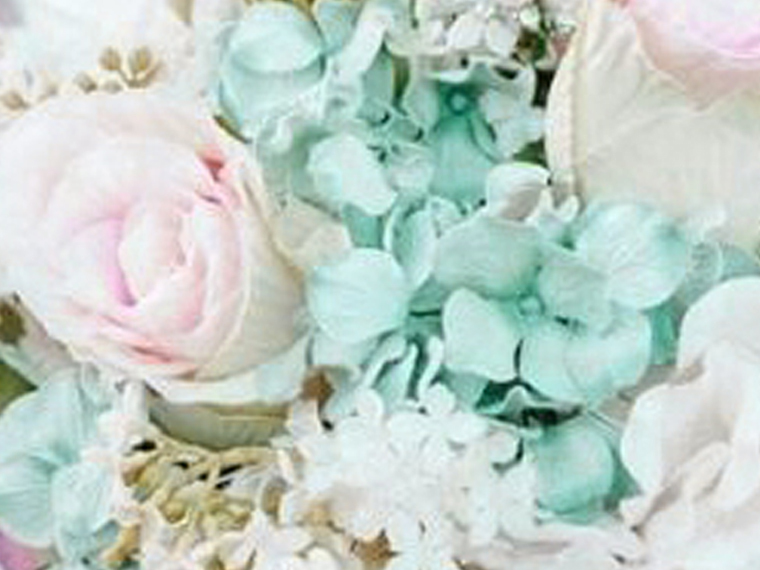 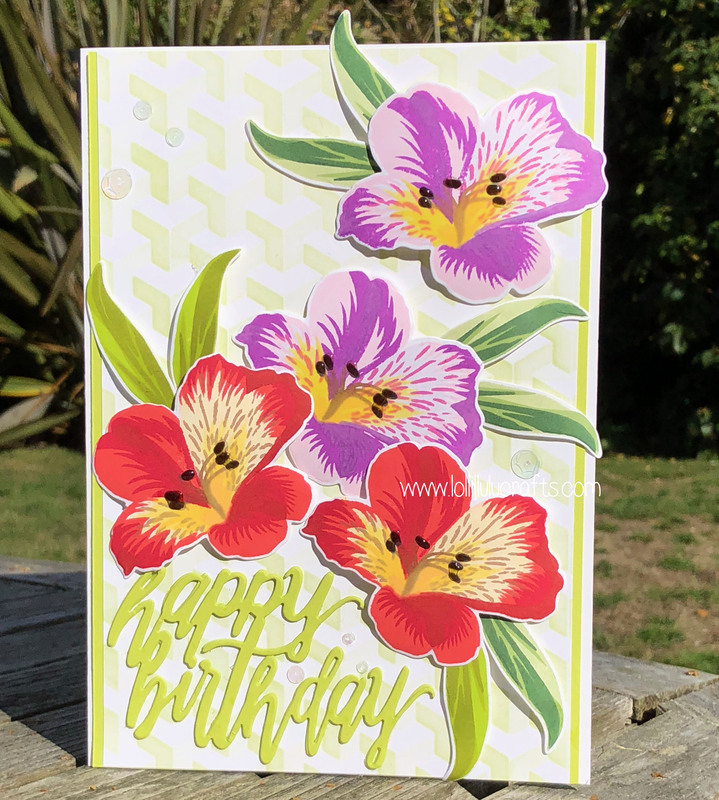 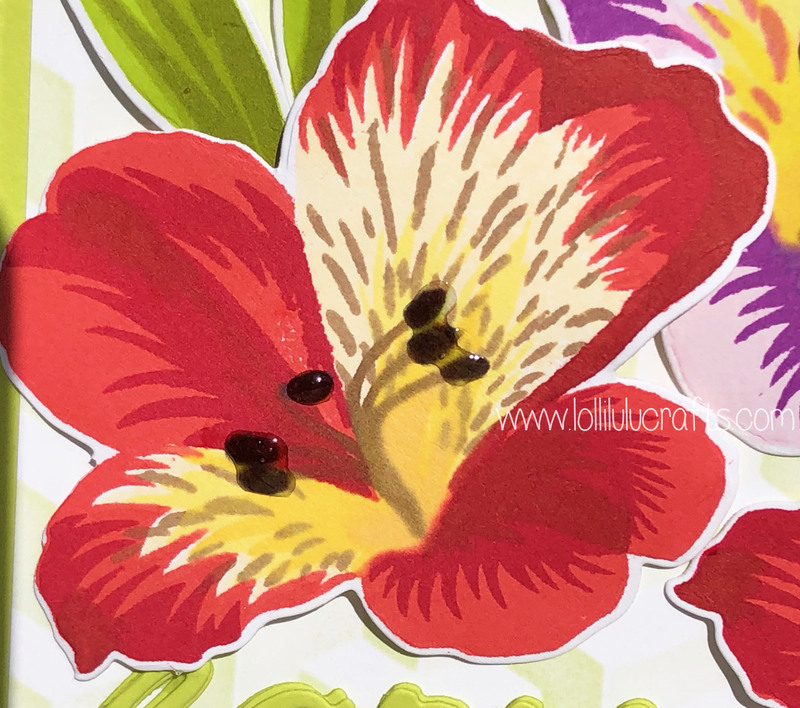 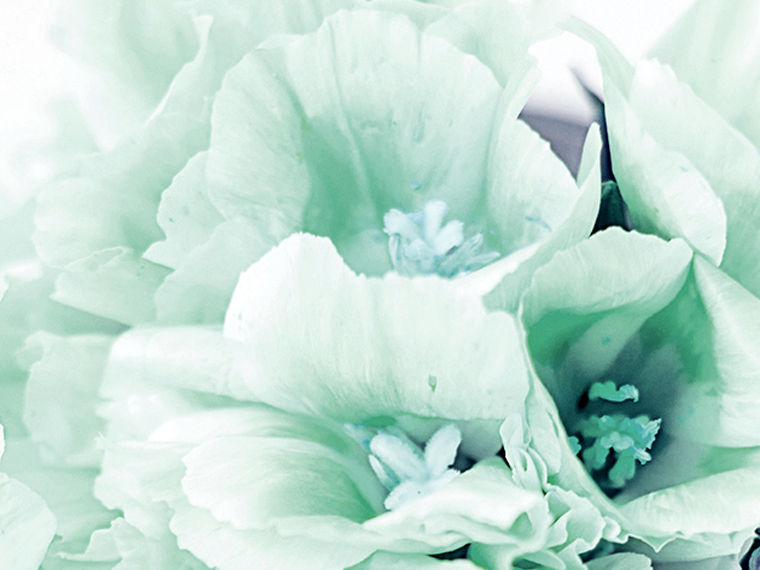 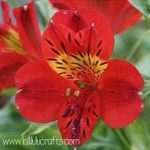 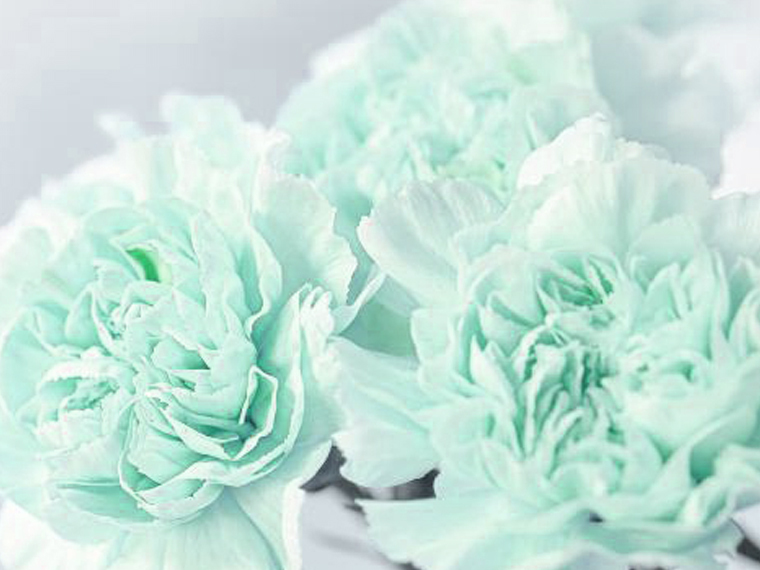 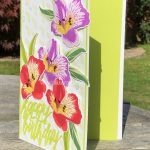 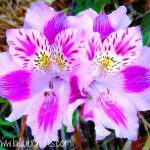 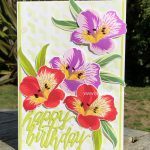 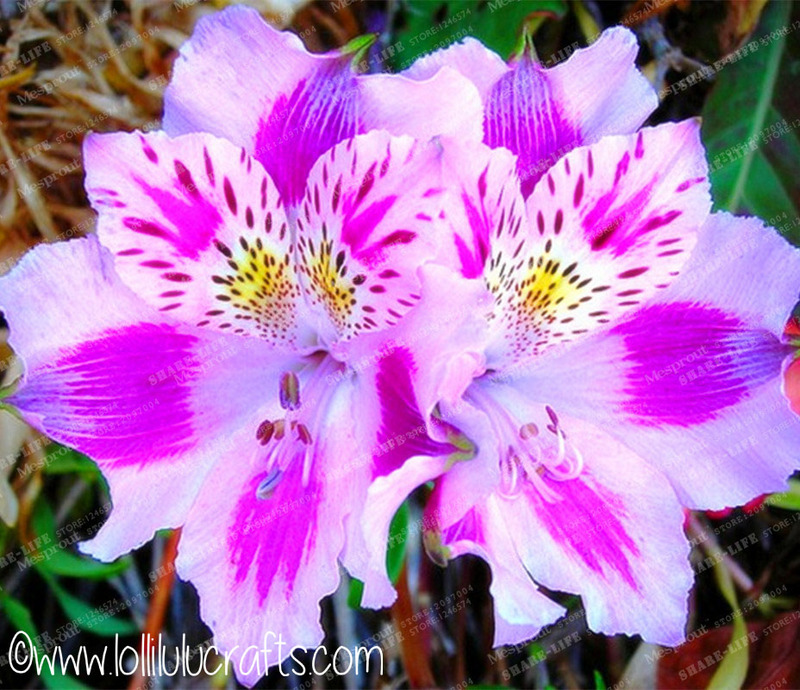 Specifically the Build a Flower Peruvian Lily set and the two Builder Stencils. 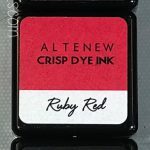 This came about as I thought I would take a chance and approach Altenew to see if they would sponsor a video of mine. 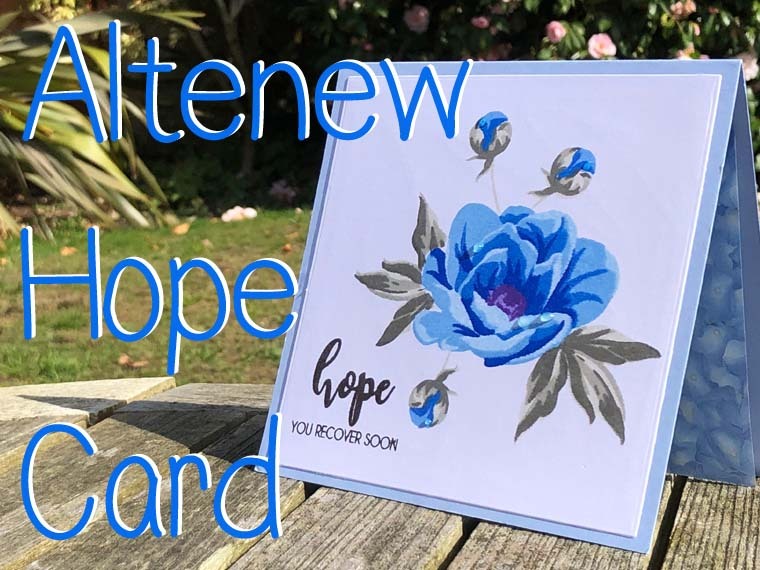 To be honest this really was on the off chance and kinda on the basis of ‘if you don’t ask you don’t get’ but expecting a no since Altenew have a design team. 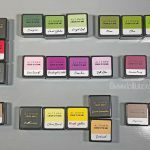 However much to my surprise they immediately said yes and not only that, I got to choose the product I would like to use. 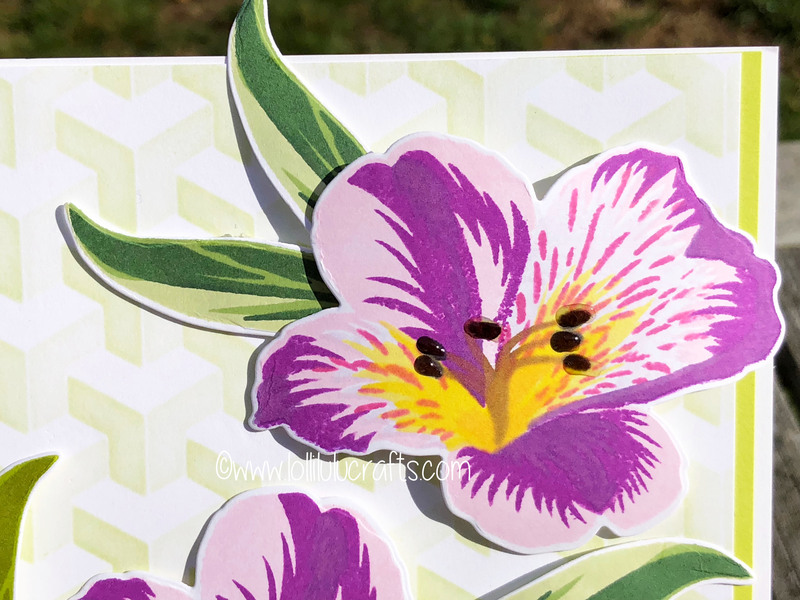 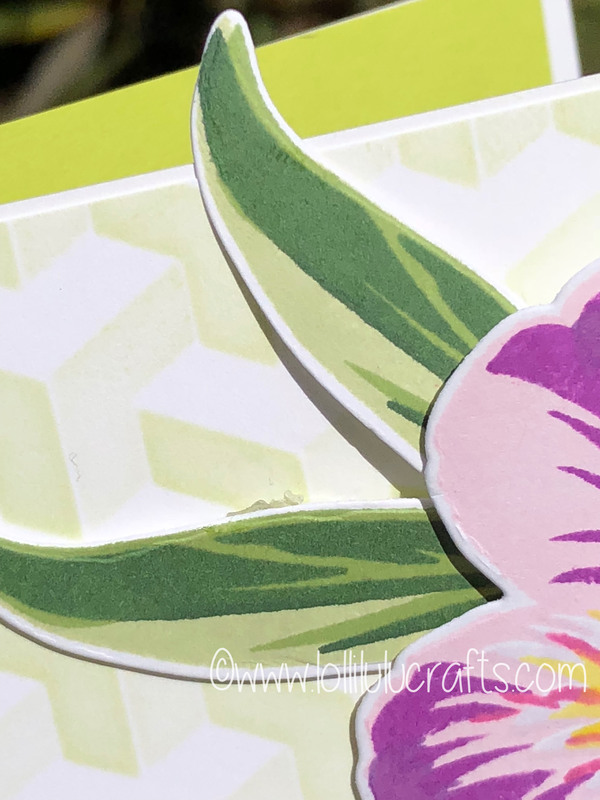 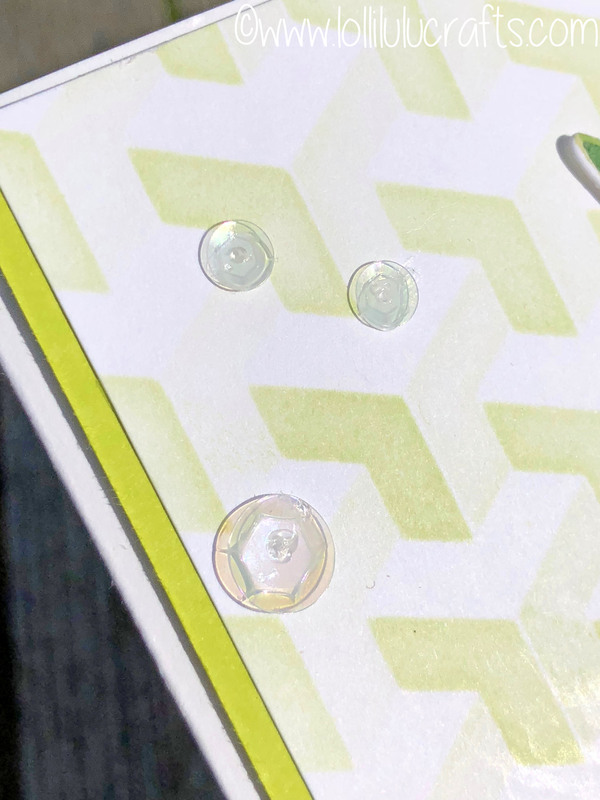 So since I absolutely love the Altenew Build a Flower sets and have been looking at the Peruvian Lily set since it launched a short while ago and I also loved the look of the Builder Stencils (cube, weave etc) I immediately picked these. 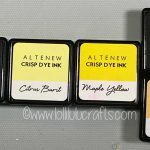 I have to say I am incredibly grateful to Altenew and really appreciate them saying yes. 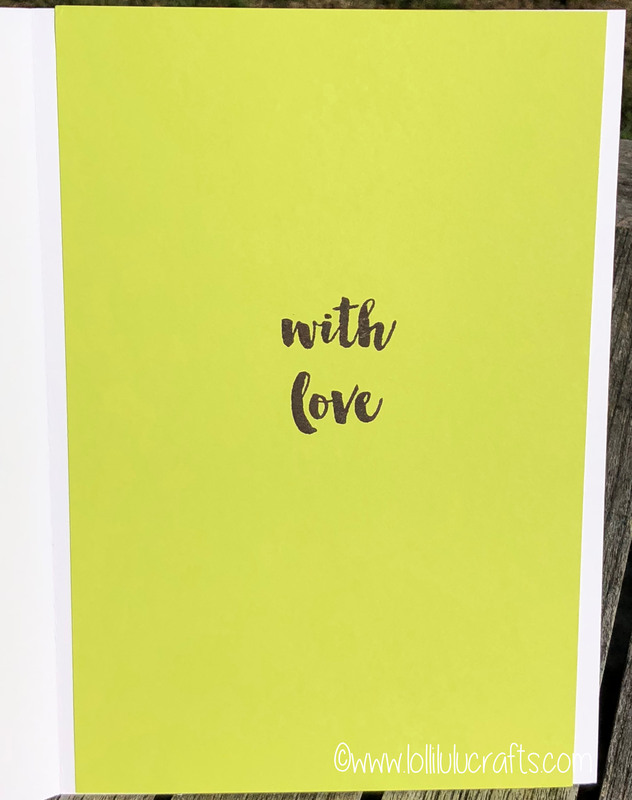 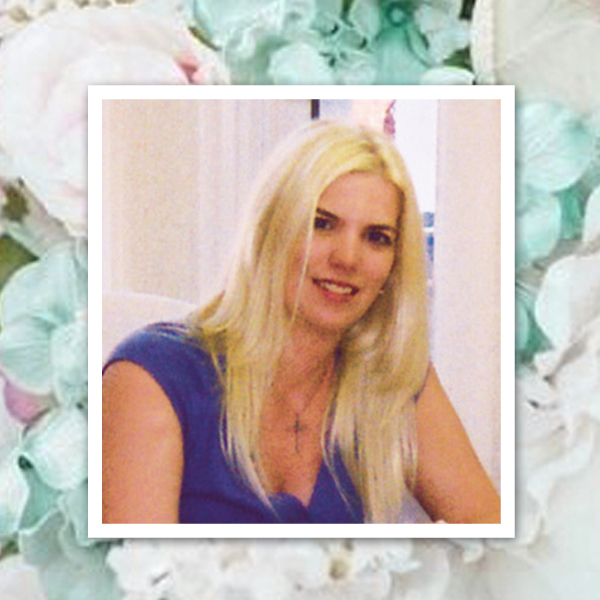 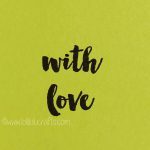 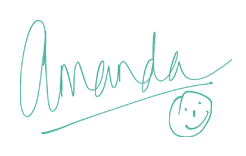 It is hard as an independent, having to do this all myself so it is so lovely that one of my favourite companies was happy to take a chance on me. 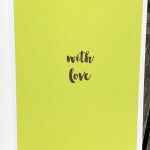 I would also like to add there was no conditions put upon me (other than a date to have the video done by) so all opinions in this video are entirely my own. 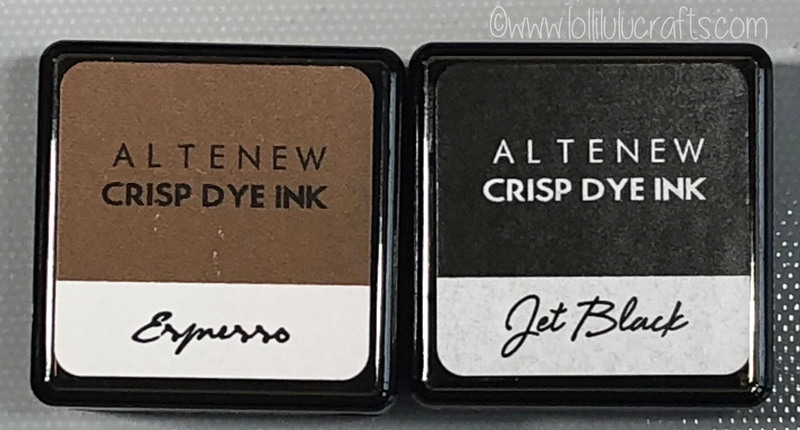 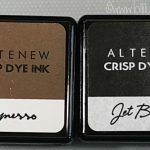 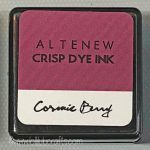 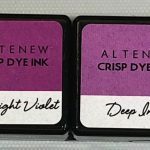 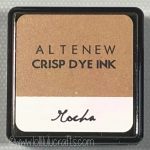 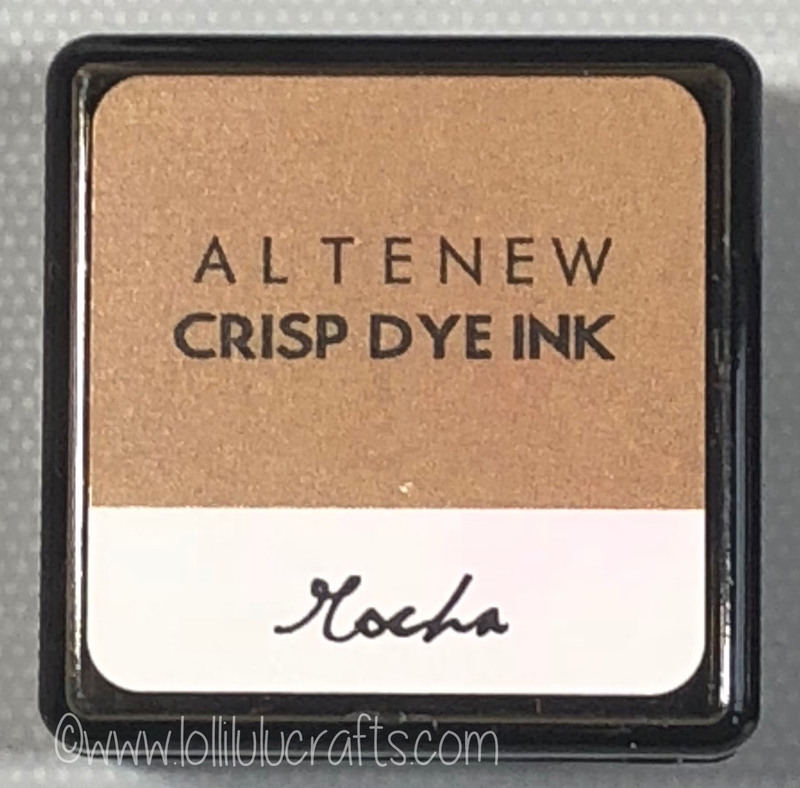 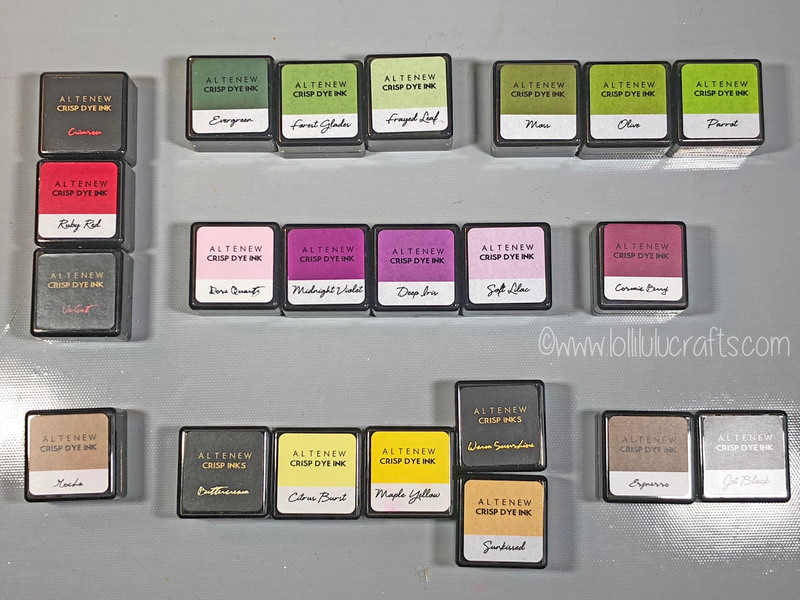 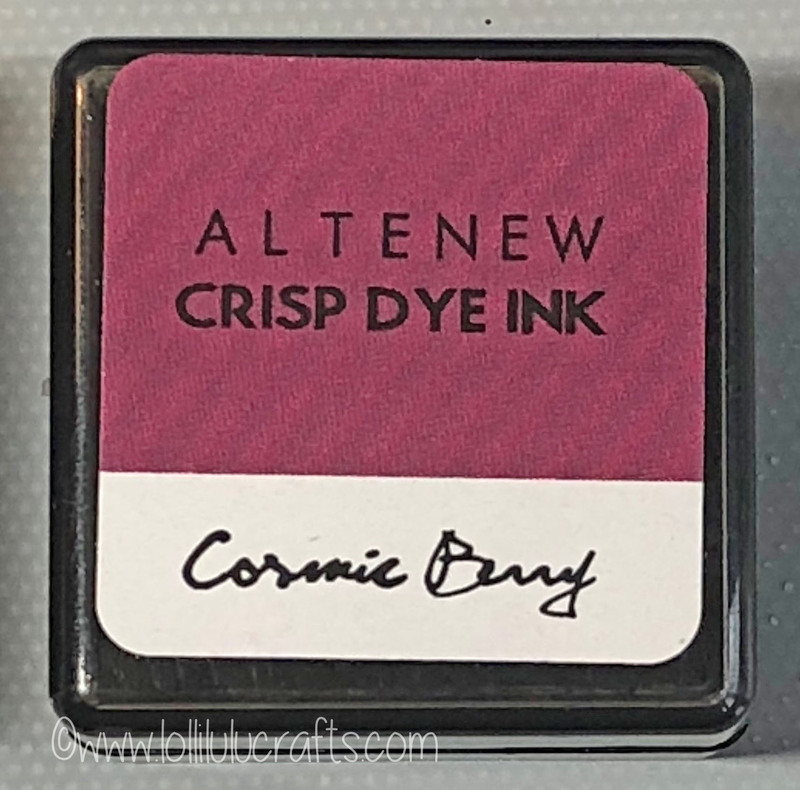 However I am sure those of you that follow me regularly already know I do love Altenew and clearly you guys too as they are some of my most popular videos.